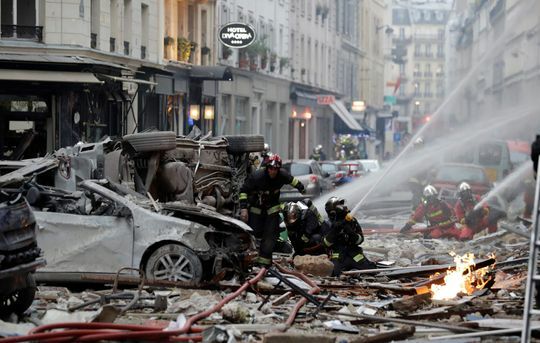 AP- French authorities said two firefighters were killed and 47 people injured in a powerful explosion and fire apparently caused by a gas leak at a Paris bakery Saturday that blasted out windows and overturned cars. The Paris prosecutor’s office said that two firefighters have been killed in the bakery blast, correcting the overall figure of four dead given earlier by France’s interior minister. Interior Minister Christophe Castaner told reporters at the scene “unfortunately the human toll is particularly serious.” He paid homage to the courage of rescuers who notably saved the life of one firefighter who was buried under the rubble for two and a half hours.